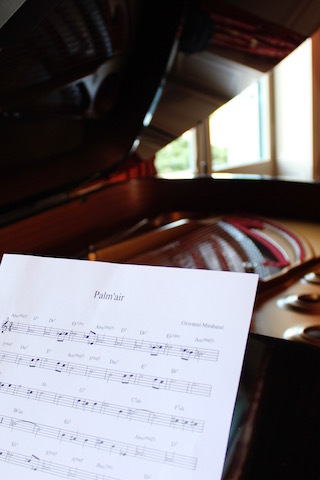 Every spring, the new assemblage of Château Palmer and Alter Ego gives rise to an event: Hear Palmer, an interpretation of the current vintage, in the barrel cellar, by renowned jazz artists. 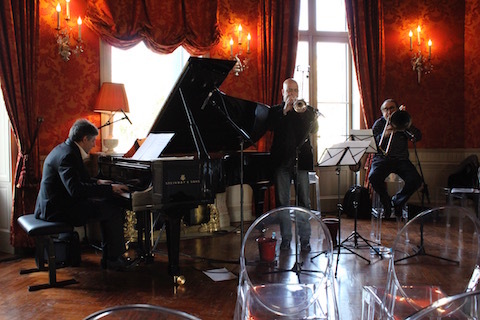 On 23rd March 2012, the AIR trio, consisting of the pianist Giovanni Mirabassi, the trumpeter Flavio Boltro, and the trombonist Glenn Ferris, interpreted the 2011 vintage at Château Palmer. Giovanni MirabassiThe free spirit of the piano. Giovanni Mirabassi started to play the piano at the age of two, at his parents' house in Perugia. “But I only took my first five first lessons at the age of sixteen, and my last five at the age of twenty-two”. Giovanni Mirabassi is a free spirit always ready to discover even the most esoteric aspects of jazz - and with what brilliance, what sparkle, what self-sacrifice, what liberty! 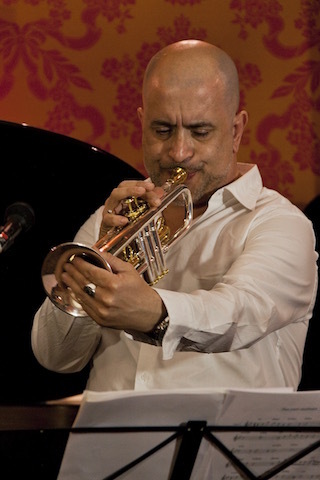 Flavio BoltroA gifted trumpetist. Flavio Boltro. His instrument? The trumpet. This discreet and gifted musician is brilliant and voluble. 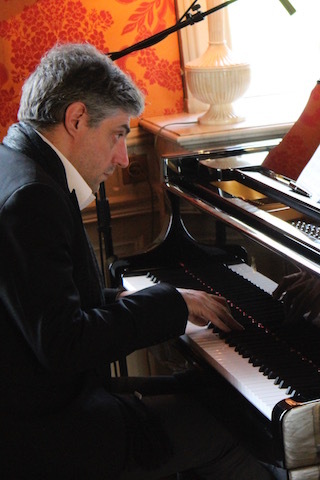 He is one of the most influential soloists in Europe. His outstanding techniques and mastery of harmony are as expressive when he is a leader as when he is a sideman. He composes original music that is always energetic and displays multiple influences. Glenn FerrisTrombone Attitude. Glenn Ferris has been an iconic trombone player since the 1960s. Brought up in Hollywood in a family of musicians, he attended a concert of the Los Angeles Philarmonic and fell in love with the trombone. He has proved to be a brilliant performer on this instrument during a long career during which he played alongside the masters: Don Ellis, Frank Zappa, and his legendary Grand Wazoo Big Band. Guy Le Querrec (https://pro.magnumphotos.com/Catalogue/Guy-Le-Querrec.html) and Sergine Laloux (http://www.serginelaloux.com/) photographed this edition. Their series on Hear Palmer 2011 can be discovered in our Pinterest photo library, via the link below.